In this post, I present the second chapter in our ongoing series detailing our transition into running in Vibram FiveFingers. Here, I will address the more painful (and, sad to say, self-inflicted) parts of transitioning into minimalist running that Steve and I dealt with while we worked to re-train our feet (and really every other part of our lower body) to run in Vibram FiveFingers. At this point, you’ve probably seen all of the advice and warnings posted online, including on Vibram’s website, about taking it slow while you transition into minimalist footwear. Most runners spend years (or even just a month, in our case) heel-striking in heavily-padded, more typical modern running shoes. Some even believe that this is a natural way to run and argue that one cannot run on pavement, or, in some cases, at all, without the aid of padded shoes. 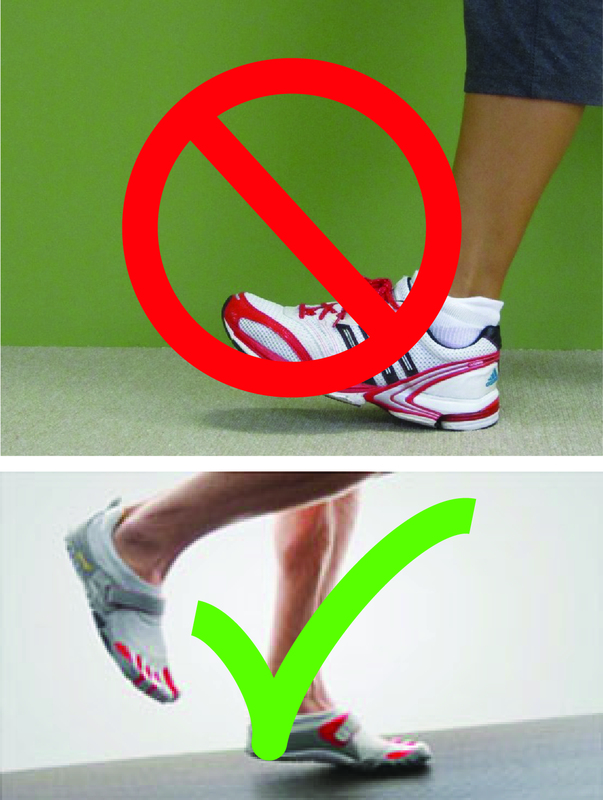 Recently, however, more and more evidence is being uncovered suggesting that heel-striking, along with the wearing of padded running shoes, actually results in the shortening, weakening, and stiffening of important muscles/tendons/bones in the foot and leg that would otherwise be used if you were to run with a more natural (re: mid-foot or forefoot) foot strike. If you’ve ever tried running completely barefoot (even if you just take a short jog around your apartment), you’ll quickly notice that your body naturally avoids landing heel-first, and instead switches to a mid-foot or forefoot strike. Amazing, right? That begs the question: “Why should running for exercise be any different?”. Therein lies the basis for the minimalist running/footwear movement: shoes should provide some protection for your feet, but they should not compromise your natural stride and the natural movement of your feet and legs. While our initial reaction to running in Vibram FiveFingers was one of pure joy, we fell victim to what can only be described as a “rookie mistake”. That is, we succumbed to the temptation to go too far, too fast. If you remember, Steve mentioned in Chapter 1 that, despite the warnings from our local running shop, several friends, and basically every minimalist footwear website in existence, we decided to go for a two-mile run on only our second day of owning our Vibram FiveFingers. I understand that to some, two miles might sound like a very trivial distance, but, as we were in the early stages of our running careers, 2-3 miles was about the maximum distance we were accustomed to running at one time. So, instead of using our FiveFingers for 10% of our usual running distance, or even the more generous “no more than 0.5 miles to start” suggested by some sites, we skipped right to 100%. Like I said, mistakes were made. The run itself felt, for the most part, pretty great. I remember feeling some stiffness and perhaps a little soreness during it, but not enough to make me want to stop. I was enjoying the light feeling of my feet and the change in my stride too much. The day after, however, was a completely different story. Let’s just put it this way: if I were in the following video, I would’ve wanted to be Lieutenant Dan. Yes, that’s right, I would’ve preferred to have no legs, rather than my own after running just two miles in my Vibram FiveFingers! My calves were insanely sore and stiff, to the point where, besides the occasional hobble across the apartment for food or to use the bathroom, all I could manage to do was pop ibuprofen and sit on the couch with a heating pad beneath them. It took about 3-4 days for the intense pain to subside after our second run, and neither Steve or I were eager to have a repeat of it. We therefore decided that we would be more careful for our next run by using our Vibram FiveFingers for only the first mile (OK, so we still cheated a little) and switching back to our regular running shoes for the second mile. The first mile in my Vibrams, as before, felt amazing. That’s not to say that I had completely perfected my form. I can’t speak for Steve, as I think he found his natural stride a bit easier than me, but I found that I had to struggle to find the right balance between not thinking (and letting my foot fall naturally) and actively thinking about each stride (to make sure that my form was not getting sloppy). At the end of the first mile, even though I was very leery of a repeat of calf-ocalypse, it was still difficult to convince myself to take off my FiveFingers and switch back to my old running shoes. As soon as I laced up my old shoes and started running, I was amazed at how terrible it felt! Just a week earlier, I had felt great running in my sneakers, and now they felt awkward and heavy. It was incredible how much my body wanted to utilize a forefoot strike now, and how my old sneakers forced me back into heel striking. For me, this mile ended up being the real turning point where I knew that I would never again go back to my heavily-padded running shoes. From this point onward, both Steve and I chose to run in only minimalist shoes. Looking back, it’s really only luck that Steve and I didn’t manage to injure ourselves in our first few weeks with our Vibram FiveFingers. Pushing yourself to transition faster than recommended can result in serious injuries, like tendonitis in your Achilles tendon. This is, again, very much a “Do-as-I-say-not-as-I-do”-story. In some ways, I think that because we had only been running for a month before buying our FiveFingers, our bodies were much more willing to adapt to a new foot strike form. It did, however, take 2-3 weeks before I didn’t have some lingering soreness in my calves following a run, and at least a month before I started to feel really comfortable with my form. If you’re looking to transition into minimalist running, please, please, please heed the advice telling you to take your time. Some people even suggest starting out completely barefoot, as your feet will likely give out long before you do, thus preventing you from going too far. Ultimately, it’s about listening to your body (especially your feet) and only doing what you feel comfortable with. For those of you out there who have also made the transition to minimalist or barefoot running, how long did it take you to make the change? Feel free to share in the comments, and be sure to check back for our next Vibram Transition post!